Andrews, Lt. Col. John Gilby – The 33-year-old commanding officer of the CATR was killed in Action on Aug. 19, 1942 during the Dieppe Raid. Andrews, who was commanding “Regiment,” a Churchill Mk II, attempted to land his tank on White Beach. But unknown to him, it appears that the waterproof cover had ripped as Regiment left Tank Landing Craft No. 8. The tank sank into roughly six feet of water and the engine flooded and died. Doc Alexander reports in his Dieppe journal that a few of the men climbed out of Regiment and were picked up by a small L-boat. Doc Alexander wrote: “Some of the men escaped from the turret and I saw them picked up by a small L-Boat which immediately put out to sea, but only travelled a short distance when it received a direct hit from one of the shore batteries and burst into the flames. 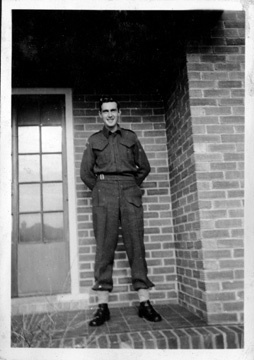 I saw the men again jump into the water, but do not know whether they were again picked up or not.” Andrews was initially reported missing following the Dieppe Raid, but it was later confirmed that he had indeed been killed. Begg, John – Officer Commanding “A” Squadron, CATR. Awarded Distinguished Service Order following Dieppe Raid. Born in Scotland. Enlisted with Canadian Expeditionary Force in 1915 during the First World War and served with the 3rd Divisional Cyclists. Wounded in October 1918. Joined Calgary Regiment as a sergeant and received his commission in 1921. By 1936, he had been promoted to major. Calgary Army Tank Regiment second-in-command. Led the Tanks into battle at Dieppe. He assumed command of the CATR following the raid. The following is taken from a newspaper article reporting Begg’s DSO: “At great personal risk and with complete disregard for his own safety he succeeded in having two of the three tanks on board land safely. Lieutenant-Colonel Begg directed the handling of these tanks under a frontal fire so intense that many members of the landing party and crew were killed or seriously injured, the craft itself being almost completely destroyed. He was at all times an inspiration of coolness and courage to those remaining alive on his craft. 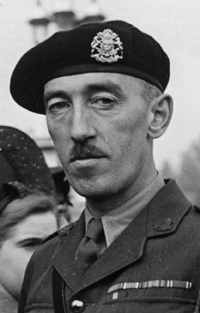 When the commanding officer of the regiment was reported missing, Lieutenant-Colonel Begg assumed command.” Returned to Canada in 1943 as commander of a tank training centre. Furman, James (Jim) – CATR medic. Born May 15, 1919 in Lethbridge, AB. Died Oct. 21, 2001. Worked for the Canadian Pacific Railway for 34 years after the war. Jim usually appears as “Furman” throughout the journals.